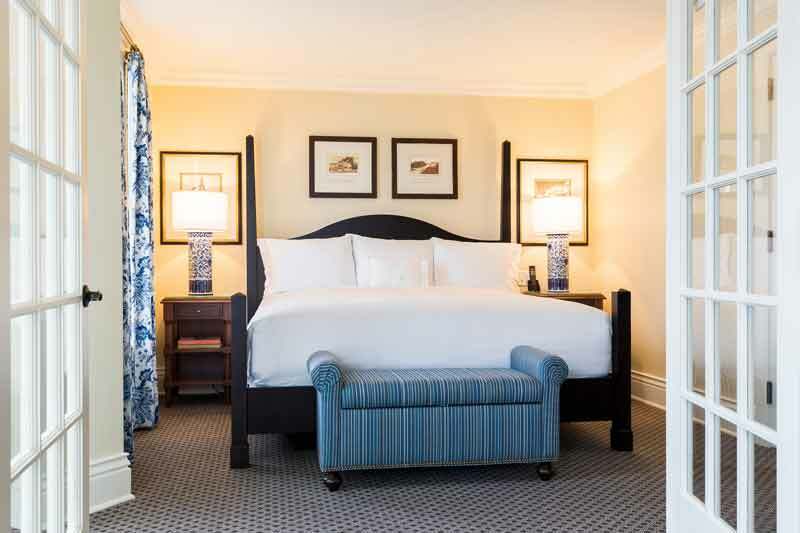 A more spacious alternative to our standard guestrooms, each of our luxury hotel suites offers elegant accommodation and fine touches including beds with 400-thread count embroidered linens, Anichini throw blankets, and foam and 100% goose down pillows. Refresh in our Watch Hill beach hotel rooms with 100% cotton Italian-woven towels, plush bathrobes and four-fixture marble bathrooms with a large shower and sumptuous deep-soaking tub. Enjoy amenities like an in-room iPad for guest requests, complimentary refreshments and high-definition cable television. The 630-square-foot suite includes a large living room with beach stone fireplace, neighborhood views and private terrace overlooking Watch Hill Village. Significantly larger than our Standard Suite, the Ocean View Suite affords stunning views of the Atlantic Ocean as well as two full bathrooms, sofa bed, large living room and a fireplace. 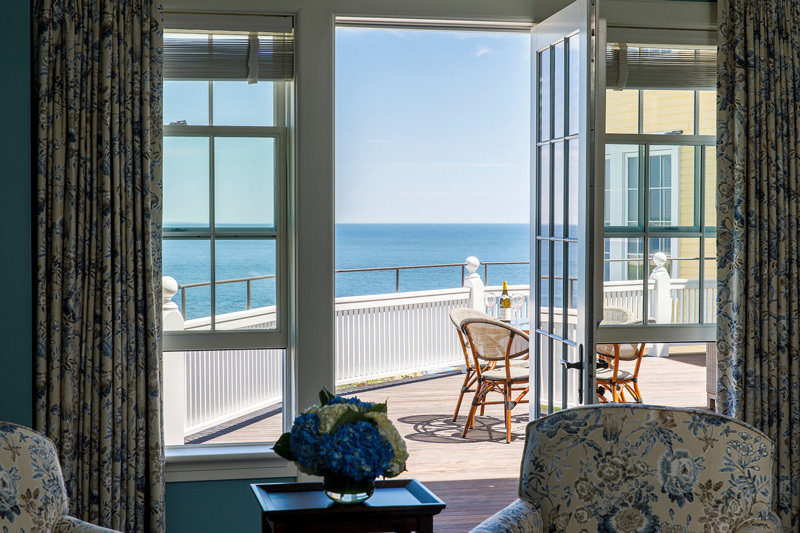 Enjoy majestic views of the Atlantic Ocean from the expansive terrace adjoining this 850-square-foot suite. 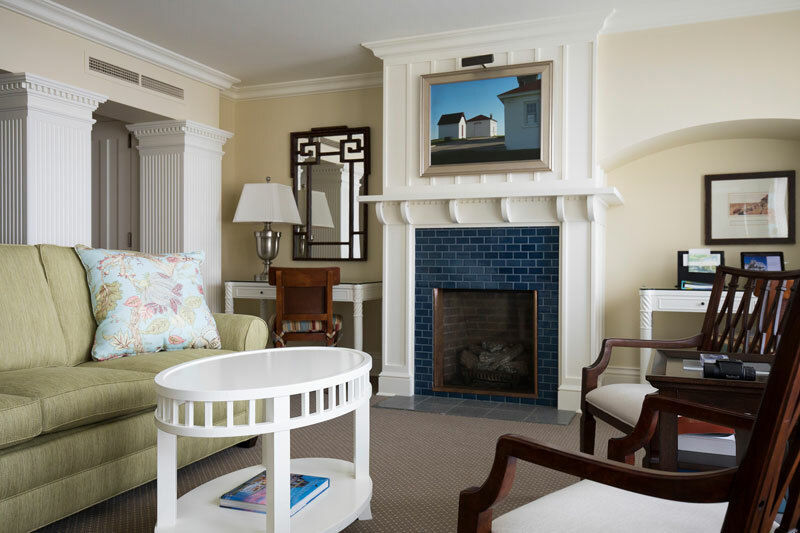 The Ocean View Terrace Suite is complete with two full bathrooms, living and dining areas, and all of our luxury amenities. floor valet for butler service.